One of the most perplexing and, often, disappointing discoveries when visiting central Italy—including Umbria and vast swaths of Lazio, Tuscany, and Le Marche—is the bread. You sit down for your first meal at a postcard-perfect trattoria and reach into the bread basket expecting a slice of “Italian bread”: a thick, baguette-type loaf with a chewy, flavorful crumb and a crisp aromatic crust. Instead, you come up with a rather dismaying slice of “pane comune” (also known as “pane sciapo”): a saltless loaf with a dense, dry crumb and crust tough enough to take out the roof of your mouth for days. Though this may seem like blasphemy to the uninitiated, pane comune is a staple in the diets of Italians who have populated the Apennine mountains of central Italy for millennia, and is no less traditional than the what the rest of the world identifies as Italian bread. Indeed, bread—like most foods in Italy from cheese to pasta—is deeply regional, with Neapolitans and Venetians eating loaves that are barely distant cousins. Pane comune is traditionally made with just three ingredients: flour, yeast, and water. Not surprisingly, once baked the bread tastes like little more than the sum of its parts and its rather bland flavor and sandy texture can be off-putting upon first taste. So why is it that this area of central Italy, one of the most renowned for its food and wine, traditionally eats pane comune? There are a few theories to behind this traditional saltless bread, and the most popular has to do with a hefty tax on salt imposed by Pope Paul III in the mid-1500s to increase revenue from his Papal States (which included much of central Italy). Rather than pay, the inhabitants simply began leaving the salt out of their bread without salt, and the habit stuck. The problem with this theory is that historians have found that saltless bread was already common for centuries before the pope got greedy. A more likely reason is that many areas in rural Italy used spring water from the Apennine mountains to cook and make bread, and tended to make bread without added salt because the water itself is so rich in mineral salts that they were able to get those nutrients simply by using their local water in the dough. In addition, rural Italians would bread just once each week in a communal village oven. Since bread without salt stays fresh for longer (salt draws humidity and humidity causes mold), there was an added incentive to leave out the salt. For centuries, Italians only had access to bread they made themselves or that was made by the local baker. 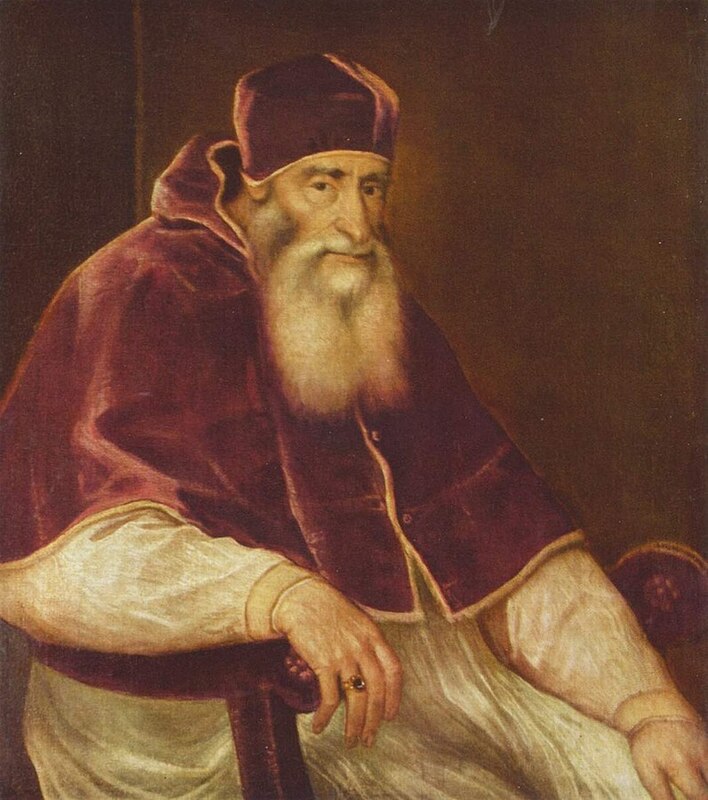 If you lived in a town where pane comune was, ahem, common...you ate pane comune. Today, most bakeries and grocery stores sell a vast variety of breads, so you can easily get traditional loaves from Puglia or Pisa no matter where you are. That said, many central Italians remain faithful to their saltless bread for a couple of reasons. First, there is pane comune and there is pane comune. If made by an artisan baker in a wood-fired oven, the bread has a moister crumb and an almost sourdough flavor that makes it a bit more appetizing. 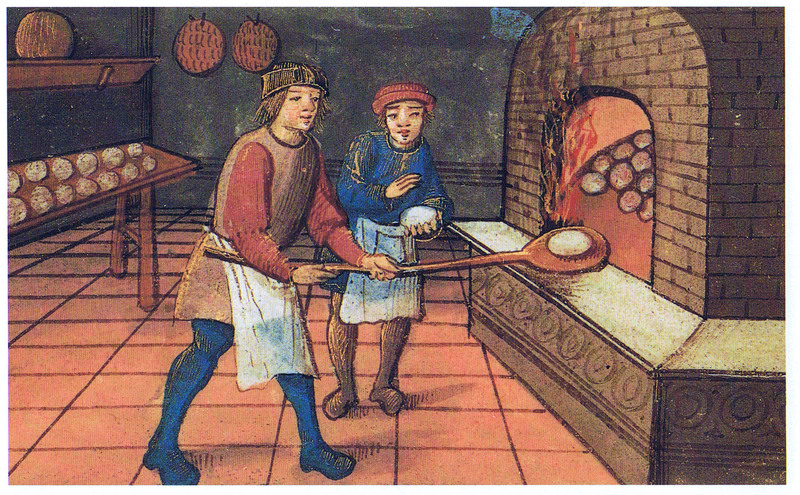 In a pinch, even artisan pane comune made in a conventional oven is edible. To be avoided at all costs is traditional saltless bread made by large commercial bakeries and sold in shrink-wrapped in plastic at the grocery store. 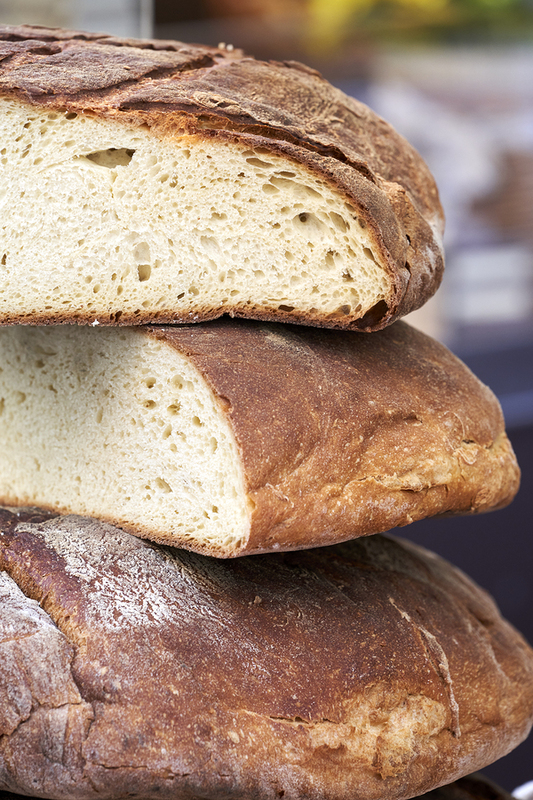 If quality pane comune is in your breadbasket, you may be in for a pleasant surprise. 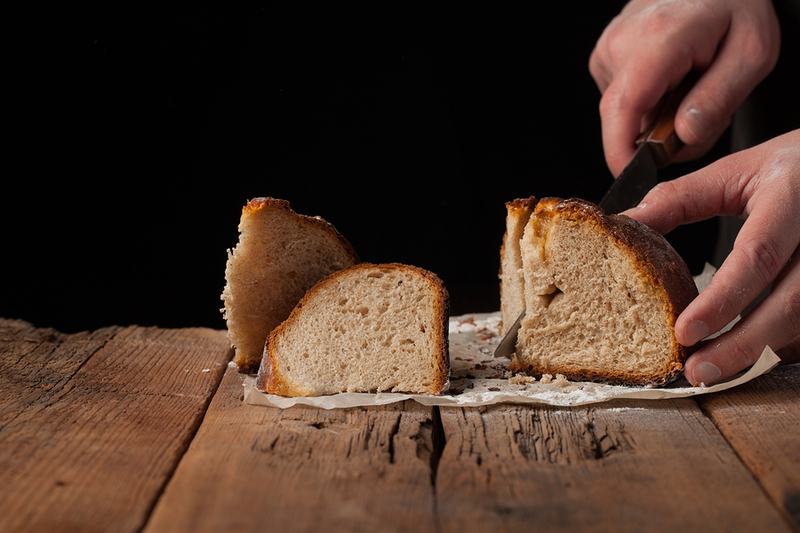 Second, the blandness of pane comune or pane sciapo is the perfect foil to the traditional cuisines of central Italy. In fact, when eaten how centuries of culinary tradition intended, this otherwise rather underwhelming bread can be delicious. In the rural areas of central Italy, the main staples are highly salted cured pork, tangy game, bold sheep cheeses, peppery olive oil, and rich legume soups...all of which pair well with a bland bread that functions as little more than a transportation method from plate to mouth. If you truly want to appreciate this historic bread, you need to do it with tried-and-true local dishes. If you’ve ever used a piece of bread to clean sauce or gravy off your plate and pop it in your mouth, you’ve done la scarpetta. Saltless bread is perfect for la scarpetta, as it has almost no flavor of its own and allows the complexitiy of traditional central Italian sauces, many made with game or other meat, shine through. Cured pork from central Italy—primarily prosciutto, but also salame, capocollo, and dried sausage—are aged under salt for months, making them intensely flavorful and aromatic, in addition to being quite salty. The blandness of pane comune is perfect to soften the saltiness of the meat (or pecorino sheep cheese, another area staple), which could be overwhelming if a more savory bread were used. If there were only one reason to defend Italy’s traditional saltless bread, this would be it. Its dense crumb makes it hold up well to being sliced and toasted over wood coals, and it soaks up just the right amount of central Italy’s famously peppery olive oil. 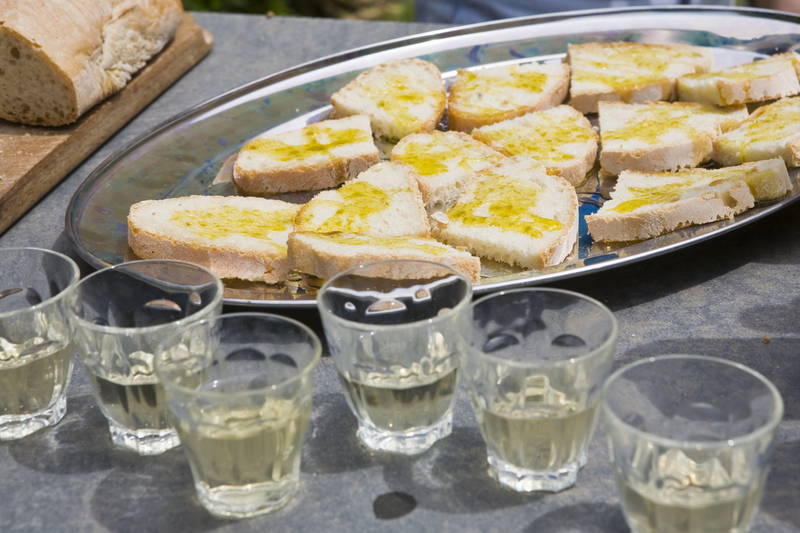 The bread’s blandness means you can appreciate the nuanced fruity, grassy, spicy, fresh, or mellow notes in your extra-virgin olive oil, and you can choose to add just the right amount of salt (and garlic) on top.